Ladwa N, Sajid MS, Sains P, Baig MK. Suture mesh fixation versus glue mesh fixation in open inguinal hernia repair: a systematic review and meta-analysis. Int J Surg. 2013;11(2):128-35. Putnis S, Berney CR. 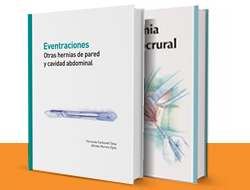 Totally extraperitoneal repair of inguinal hernia: techniques and pitfalls of a challenging procedure. Langenbecks Arch Surg. 2012 Dec;397(8):1343-51. Doerhoff C. Synthetic Bioabsorbable Hernia Plug for Plug and Patch Inguinal Herniorrhaphy: Implantation Technique. Surg Technol Int. 2012 Oct 7;XXII. pii: sti22/18. Nakagawa M, Nagase T, Akatsu T, Imai S, Fujimura N, Asagoe T, Kanai T. A randomized prospective trial comparing clinical outcomes 3 years after surgery by Marcy repair and Prolene Hernia System(®) repair for adult indirect inguinal hernia. Surg Today. 2012 Oct 26. Saber A, Ellabban GM, Gad MA, Elsayem K. Open preperitoneal versus anterior approach for recurrent inguinal hernia: a randomized study. BMC Surg. 2012 Oct 30;12:22. Topcu O, Kurt A, Soylu S, Akgol G, Atabey M, Karakus BC, Aydin C. Polypropylene mesh repair of incarcerated and strangulated hernias: a prospective clinical study. Surg Today. 2012 Nov 7. Buhck H, Untied M, Bechstein WO. 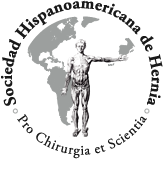 Evidence-based assessment of the period of physical inactivity required after inguinal herniotomy. Langenbecks Arch Surg. 2012 Dec;397(8):1209-14. Paajanen H, Rönkä K, Laurema A. A single-surgeon randomized trial comparing three meshes in lichtenstein hernia repair: 2- and 5-year outcome of recurrences and chronic pain. Int J Surg. 2013;11(1):81-4. Rabe R, Yacapin CP, Buckley BS, Faylona JM. 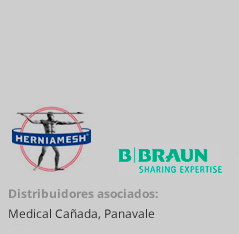 Repeated in vivo inguinal measurements to estimate a single optimal mesh size for inguinal herniorrhaphy. BMC Surg. 2012 Oct 2;12:19.